WELCOME to first grade, Cameron Ciraldo. 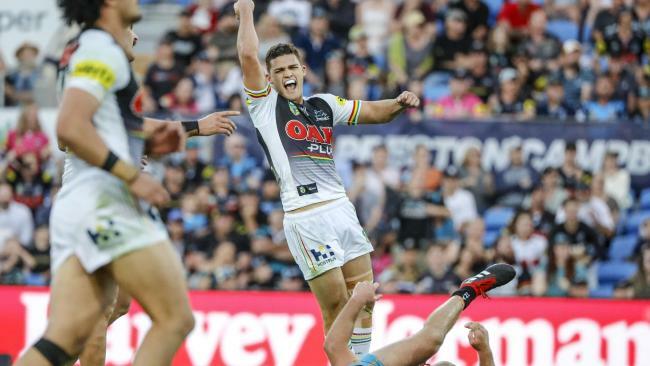 A golden-point field goal by Penrith's Nathan Cleary has handed the Panthers rookie coach an incredible introduction to the big time. The irony that Cleary was the man that scored the try to ignite his side's comeback and iced the 84th minute extra-time point was impossible to ignore given it was the NSW Origin no7 who was an unsuspecting bit-part to the drama-charged week at Penrith. The Panthers third come-from-behind victory in as many weeks was unbelievable in the extreme. They trailed 16-12 inside the final minute before with the power of Viliame Kikau allowed Dallin Watene-Zelezniak to score and lock the game up at 16-16-all with 21-seconds remaining. Cleary's missed conversion attempt sent the match to golden-point extra time. The 20-year-old - a major reason why Penrith set their sights on luring his father and Wests Tigers coach Ivan Cleary to the club after the sacking of Anthony Griffin on Monday - nailed the 30-metre one-pointer before being mobbed by his teammates. Upon his shock appointment, Ciraldo had vowed to implement a coaching style based on brutal honesty. Well, after his first match as head coach, the young mentor will need to break out the truth serum after his side survived a match they never looked like winning. 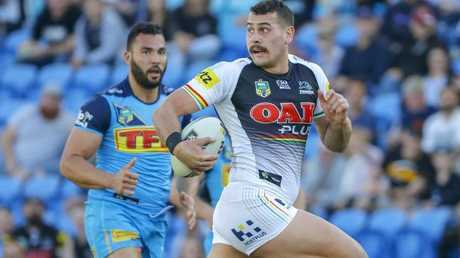 Following one of the most tumultuous week's in the club's 52-year history, the fifth-placed Panthers were struggling when the Titans kicked out to a 16-6 lead with 18-minutes remaining. While the victory was yet another thrilled, the Panthers first-half is what Ciraldo will need to address. Cleary capped a dramatic week in fitting style. Photo by Chris Hyde/Getty Images. Ultimately, Penrith's hot roster of talent played like a side weighed down by an intense week of blame and finger-pointing. 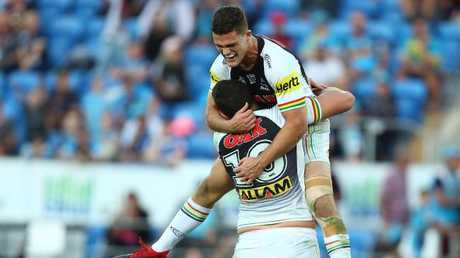 For 75-minutes, Penrith indicated little of the freedom in attack of which was the genesis of former head coach Anthony Griffin's sacking last Monday. Granted, the Gold Coast played their part in an error-riddled contest. Yet with the finals series around the corner, the Panthers showed little of the attention to detail, discipline, patience with the ball and commitment in defence, which is required in September. Ciraldo was given a debut he’ll never forget. AAP Image/Glenn Hunt. After 55-minutes, the visitors had completed just over half of their 22 sets (55 per cent). 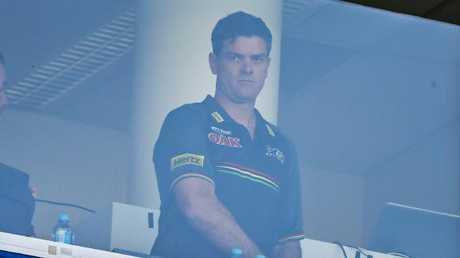 They had committed nine errors from seven different players in a Penrith jersey. They had given away seven penalties, missed 17 tackles and firebrand bench forward, Jack Hetherington , was sin-binned. Hetherington was also placed on-report for a swinging arm on stand-in Titans fullback AJ Brimson. Penrith were still far too sloppy. AAP Image/Glenn Hunt. A left knee injury to star five-eighth James Maloney, which he battled on with in the second-half, will be a concern for the Penrith medical staff ahead of next week's clash with Newcastle. At 33, Ciraldo became the youngest coach since Nathan Brown was handed the reigns of St George-Illawarra as a 29-year-old. 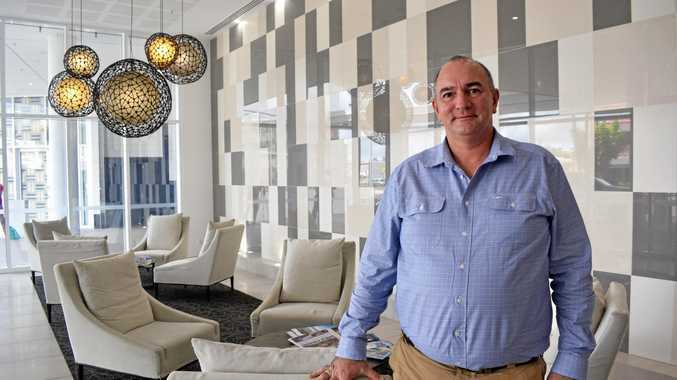 His afternoon on the Gold Coast, is now a day he'll never forget.